This is such a nice bag! I just finished doing mine as well! So cute! 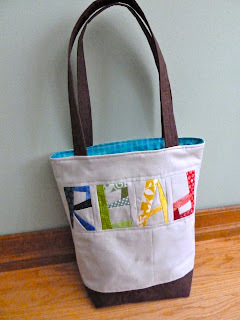 Another awesome 'read' bag. May have to buy the pattern! Do you think it's big enough for a library bag when we might have 8-10 books in there at once? Great pattern and love your fabric choices! 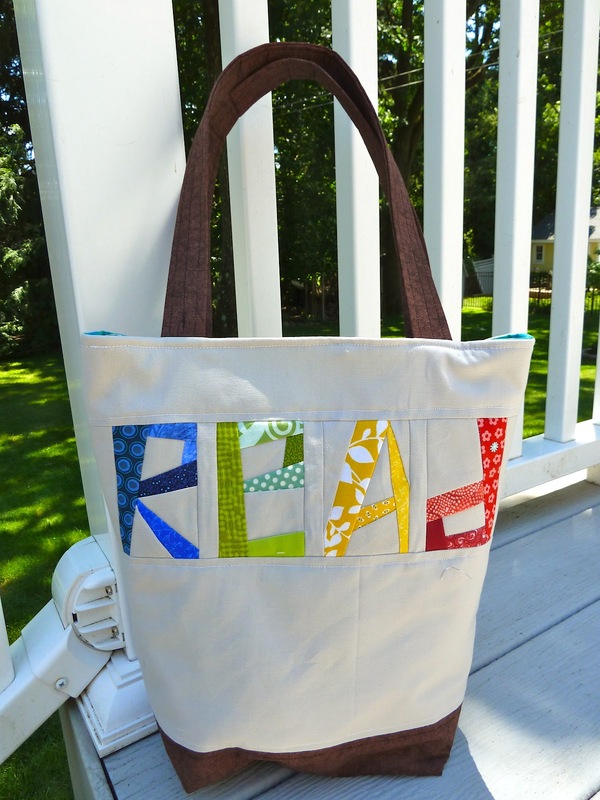 Awesome book bag, love it! "using mine in Maui" - away with you! Very nice! 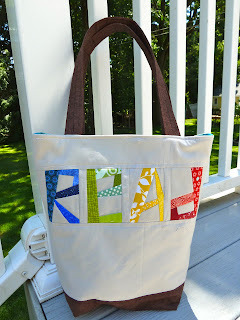 Love your 'ReAd' colors! What a fun bag! Heaven knows you can never have enough! I love the colors & fabrics! Thanks so much for pattern testing for me! The bag is gorgeous - it beats my library bag hands down! I use an old shopping bag. Perhaps it's time to upgrade? So cute! 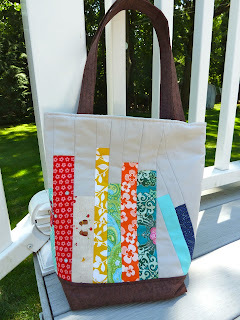 Love the fabrics you used for this...adorable! !